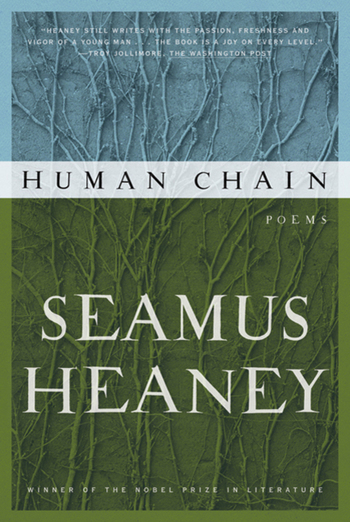 Seamus Heaney's new collection elicits continuities and solidarities, between husband and wife, child and parent, then and now, inside an intently remembered present—the stepping stones of the day, the weight and heft of what is passed from hand to hand, lifted and lowered. Human Chain also broaches larger questions of transmission, of lifelines to the inherited past. 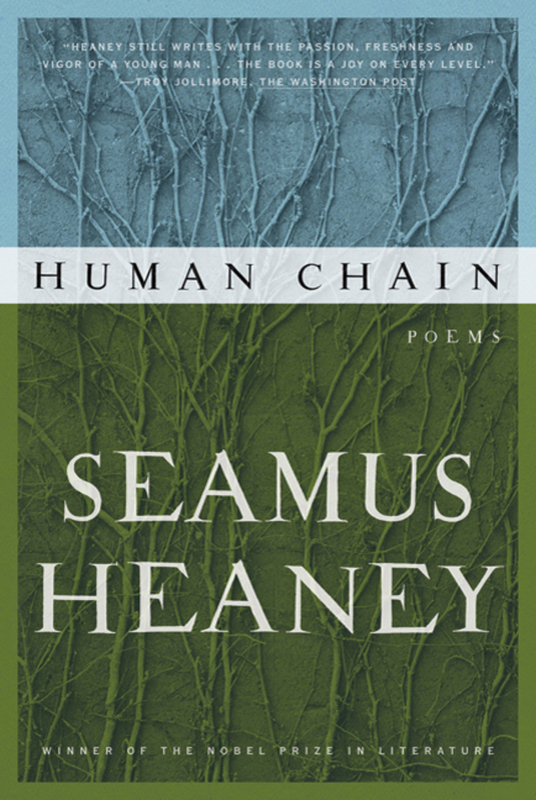 There are newly minted versions of anonymous early Irish lyrics, poems that stand at the crossroads of oral and written, and other "hermit songs" that weigh equally in their balance the craft of scribe and the poet's early calling as scholar. A remarkable sequence entitled "Route 101" plots the descent into the underworld in the Aeneid against single moments in the arc of a life, from a 1950s childhood to the birth of a first grandchild. Other poems display a Virgilian pietas for the dead—friends, neighbors, family—that is yet wholly and movingly vernacular. Photograph by John Minihan. Copyright of University College Cork.